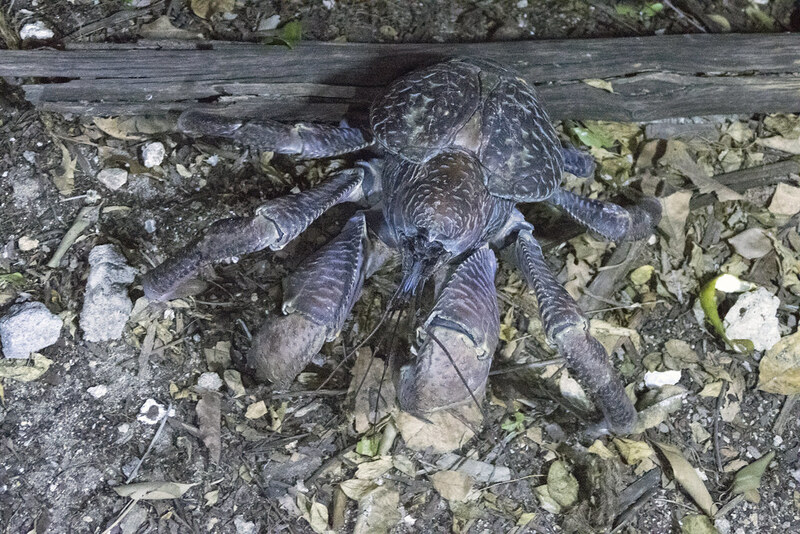 The coconut crab is a species of terrestrial hermit crab. 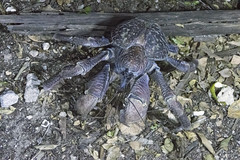 It is the largest land-living arthropod in the world, and is probably at the upper size limit for terrestrial animals with exoskeletons in recent times, with a weight of up to 4.1 kg. 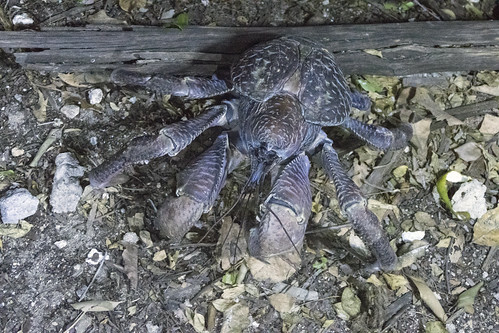 The endangered species finds total protection on Chumbe Island.